Raise Awareness on Rare Disease Day 2015! Are you planning an awareness raising event on or around Rare Disease Day 2015? You can now Post your Event on the official Rare Disease Day website! We list all events via patient organisations or medical professionals on our world map and country and region pages! Don't forget to upload photos and videos so the world can see how you contributed to the global movement! This year, there is also a new feature where you can upload your event programme. Are you having technical difficulties? Watch the recording of our informative interactive webinar on How to use the Rare Disease Day Website in preparation for Rare Disease Day 2015 here! Click on icon: participation around the world. Look for your country. 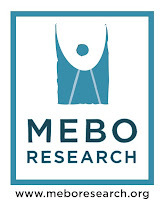 Please represent MEBO around the world to raise awareness in whichever way you like with the many options offered above. We appreciate the invaluable work EURORDIS and NORD have done for all rare disease patients and organizations throughout the year. We are honored and proud to be members of these organizations.